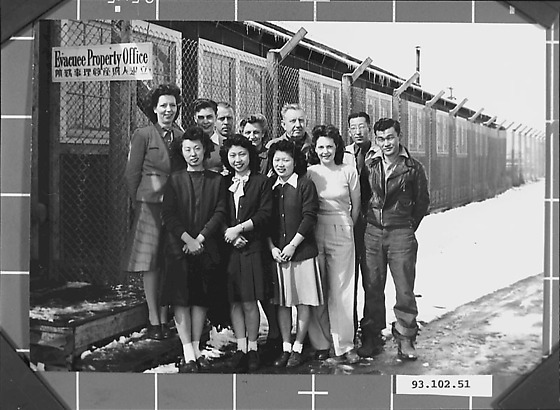 Group photo of 11 people standing in front of a barrack with a sign posted outside. Sign reads:"Evacuee Property Office". Some snow appears on the ground. Right before the camp was closed, in front of the Evacuee Property Office. Second from right is Jack Iwata.